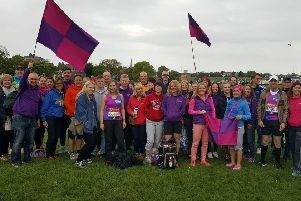 On a very busy weekend for the club, Rugby & Northampton AC produced a strong performance in the Midland League at Abingdon, finishing a strong third and only 25 points behind the winning hosts. 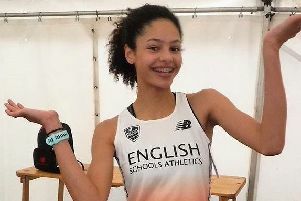 Northampton runner Emily Williams secured a magnificent silver medal competing for Great Britain in the European Athletics Under-18 Championships in Hungary. 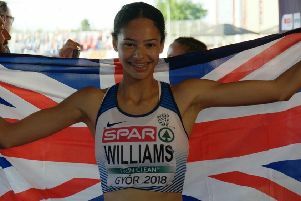 Northampton runner Emily Williams claimed a superb silver medal on her Great Britain track debut in the girls’ 1500m at the European Athletics Under-18 Championships in Gyor in Hungary. 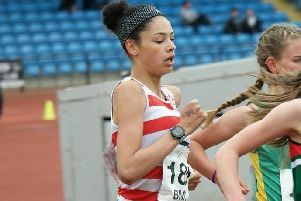 Emily Williams has achieved one of her main goals after her selection was confirmed for a first full Great Britain vest. 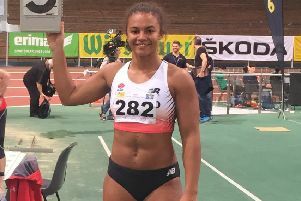 Northampton’s Emily Williams continued her magnificent start to the season with a scintillating run at the prestigious Loughborough International. 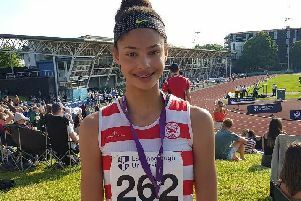 Eleanor Broome got her hands on a silver medal at the England Athletics Indoor Age Group Championships at the weekend, setting an indoor personal best and a new club record in the process. 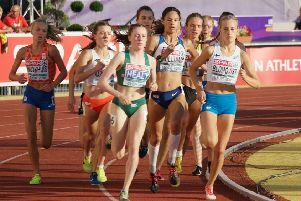 Rugby & Northampton Athletic Club’s Emily Waugh ran the race of her life, finishing an incredible 16th at the Dubai Marathon in the United Arab Emirates last weekend. 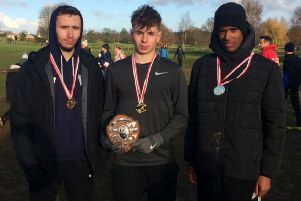 Rugby & Northampton came away with seven individual and nine team titles at the Northants Cross Country Championships held at Wicksteed Park in Kettering. Dominic Jones led home Rugby & Northampton AC in Division One of the Birmingham Cross Country League, finishing a superb 11th place at Park Hall Country Park in Stoke. 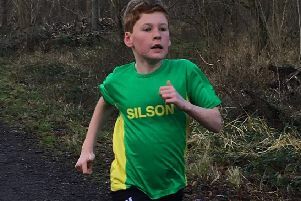 Rugby & Northampton made the perfect start to the West Midlands Young Athletes Cross Country League, cruising to victory in the first match of the 2017/18 season. 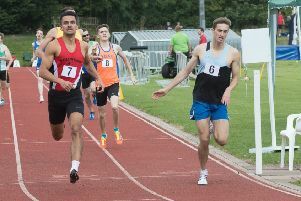 In the final match of the season, Rugby & Northampton AC sealed promotion to the second division of the British Athletics League in dramatic fashion. 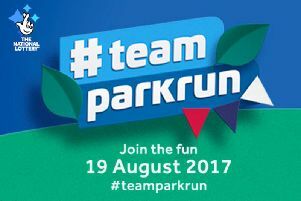 On you marks, gets set....for YOUR chance to join National Lottery-funded athletes including Olympic and Paralympic stars just revealed for the #teamparkrun 5k events UK wide today - Saturday,- August 19. 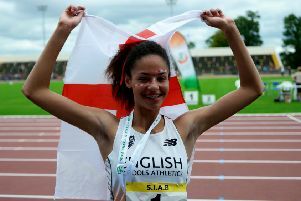 Northampton’s Emily Williams capped of a magnificent week which saw her follow up her first English Schools track title with her first international win at the Santry Stadium in Dublin where she became the British & Irish 800m Champion for U17 Girls at the SAIB Track & Field International. 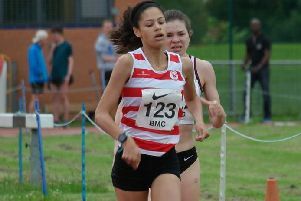 Northampton runner Emily Williams has produced two stunning performances to propel her to the top of the UK rankings for both the 1500m and the 800m to establish herself as one of the very best under-17S in the UK. 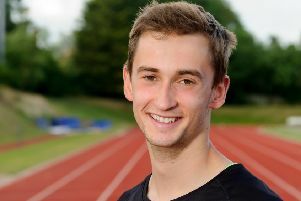 Last weekend saw the first round of the British Athletics League Division Three take place in Yeovil, where the Rugby & Northampton men delivered a fine performance to finish second out of the eight competing teams. 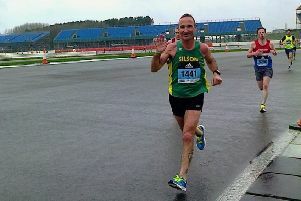 Wootton Road Runners got the season off to a flying start in April with huge numbers of runners achieving marathon success across Europe. 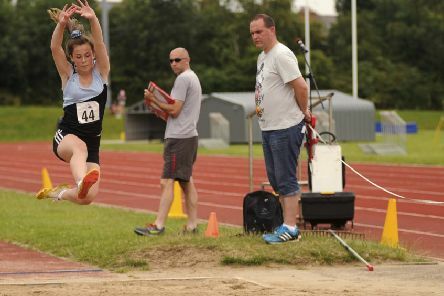 Rugby & Northampton Athletic Club were welcoming hosts on Saturday (April 1), when more than 300 athletes descended on Warwickshire for an action-packed Rugby Spring Open Meeting. 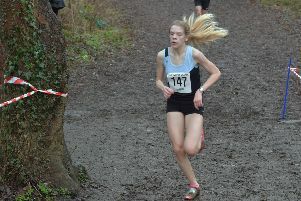 Northampton’s Emily Williams produced another outstanding performance to win her second England call up in successive years by finishing in the top eight as a bottom year athlete in the Inter Girls English Schools Cross Country Championships in Norwich. 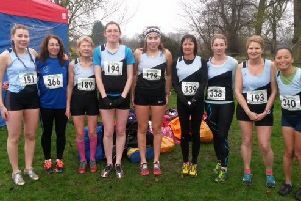 Rugby & Northampton AC had 29 athletes taking part at the Inter Counties Cross Country Championships held at Prestwold Hall in Loughborough last weekend. 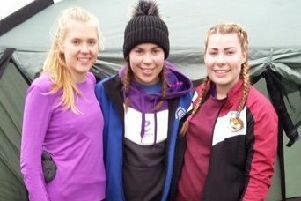 Rugby & Northampton produced a strong turnout at the English National Cross Country Championships over the weekend, with 52 athletes representing the club at the Nottingham event.